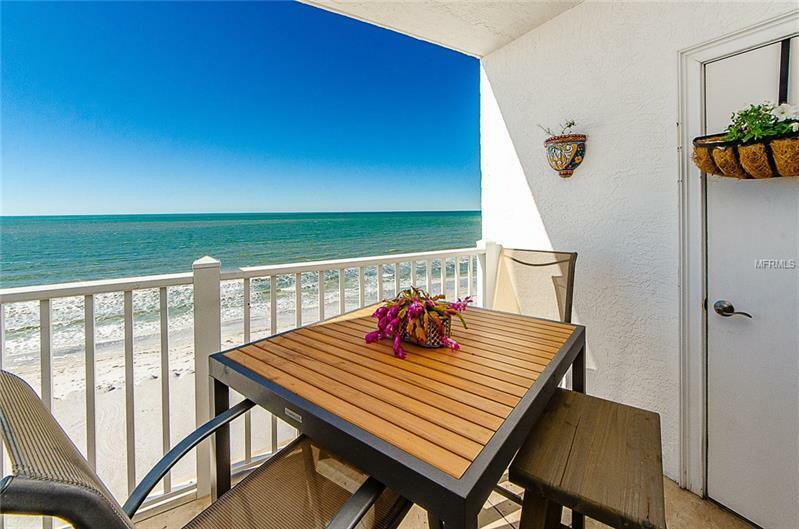 GULF FRONT 2 BEDROOM PLUS + "DEN, " CONDOMINIUM RESIDENCE WITH ENVIABLE WATER VIEWS! NEUTRAL IN IT'S APPOINTMENTS, THE INTERIOR OF THIS RESIDENCE IS READY FOR UPDATING FOR YOUR OWN PERSONAL TOUCH, BUT EVERYTHING IS CLEAN, IN GOOD SHAPE AND OK AS IT IS TOO. APPLIANCES AND SOME LIGHTING FIXTURES HAVE BEEN CHANGED. ENJOY INCREDIBLE SUNSETS & GULF FRONT VIEWS FROM THE LARGE BALCONY! THE FLOOR PLAN INCLUDES A GREAT ROOM FEATURING A WOOD-BURNING FIREPLACE WITH DECORATIVE MANTLE & CROWN MOLDING. NICE DINING SPACE, CEILING FANS AND FRENCH DOORS LEADING TO THE BALCONY. WASHER/DRYER ARE ALSO INCLUDED IN THIS RESIDENCE. IN ADDITION THERE IS AMPLE CLOSET SPACE INSIDE AS WELL AS A STORAGE CLOSET OFF THE BALCONY. THE CABANA CLUB CONDO OFFERS GREAT AMENITIES INCLUDING: BEACH-FRONT POOL, FITNESS CENTER, TENNIS COURTS, & THE CONVENIENCE OF A DESIGNATED UNDER-BUILDING PARKING SPOT ALL IN A SECURED GATED COMMUNITY. SAND KEY BOASTS GREAT RESTAURANTS, SHOPPING & A BEACH TROLLEY FOR YOUR FUN AND CONVENIENCE!